Based on the investigation conducted by the police, the victim, Evelyn Tasico might have awaken by the movements of the thief but before she could even yell for help, she was stabbed by the unidentified suspect who fled from the scene immediately after the crime. The police had established a theory that robbery could be the motive of the crime. They might knew that the victim receives monthly remittance every third week of the month from her husband who is an OFW working in Italy. The authorities are currently working to establish the identity of the suspect that my lead to the arrest. 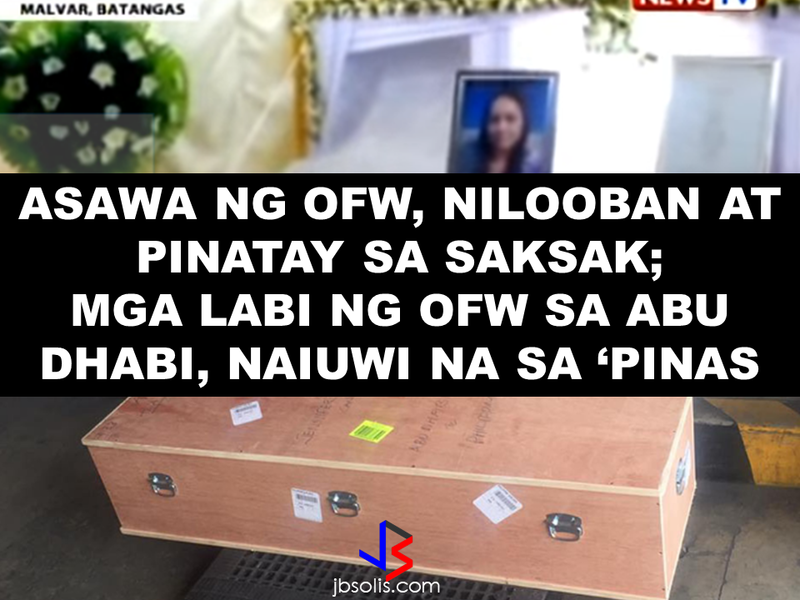 Meanwhile, the remains of the OFW who died in Abu Dhabi on January 1 this year has been repatriated and sent to her family in the Philippines. Jennifer Arce was said to have committed suicide by jumping off from the rooftop of her rented residence, according to the report from Abu Dhabi authorities who investigated the incident. However, the victim's brother does not buy it. He wants the National Bureau of Investigation (NBI) to conduct another autopsy on her sister to find out the truth surrounding her death. 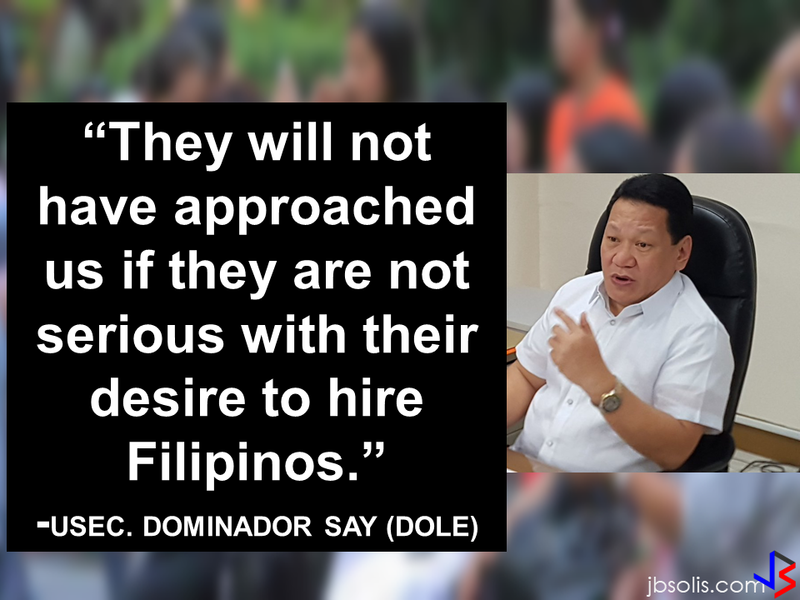 Joey Arce has a big doubt about the Abu Dhabi authorities' statement because they found seven stab wounds on the body of the OFW. The brother is suspecting that the OFW's Egyptian boyfriend might have something to do with his sister's demise. The Egyptian spent nights sleeping in Jennifer's apartment from 30th of December to January 1. her body was found between 4 and 7 in the morning. The Egyptian is now in jail for immorality charges but the family of the victim still want to know if they can press murder charges. Arce family also sought assistance from OWWA and to put her previous contributions into consideration. Since she is not an active member anymore she cannot claim anything from OWWA. On the other hand, the repatriation of her remains was shouldered by OWWA. She also did not get any claims from her employer because her contract was already expired since October of last year. The remains of the OFW was brought to Holy Trinity Funeral Homes in Sucat, Parañaque and set to be cremated after 5 days and will be brought to Vigan Ilocos Sur.